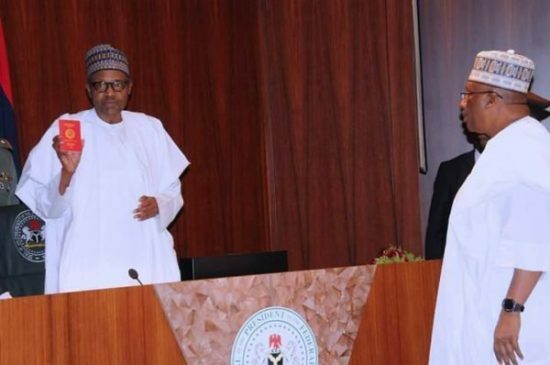 President Muhammadu Buhari & VP, Yemi Osinbajo have been given new 10-year valid worldwide identification for ambassadors by the Nigeria Immigration service. The international IDs were given by the Minister of Interior, Abdulrahman Dambazau & the Comptroller General of Nigeria Immigration Service, Mohammed Babandede. 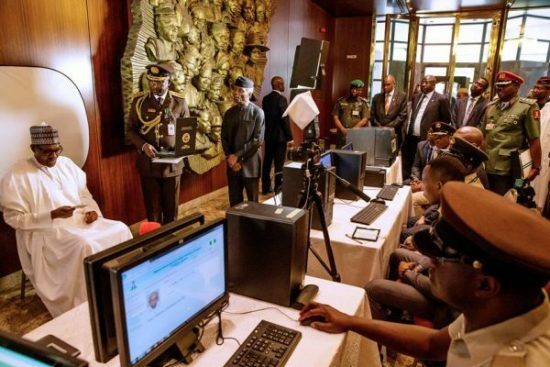 Authorities of NIS had before caught the biometrics of the president & the VP just some seconds before the kickoff of an uncommon gathering of the Federal Executive Council inside the assembly hall of the presidential villa. Aside from the 10-year validity, the new international ID, as indicated by the NIS has upgraded protection & is ”weather friendly”. The Immigration Service said the new international ID has polycarbonate technology that get rid of harm & that it presently spares Nigerians abroad the time expected to always visit Nigerian consulates for new identifications. Last October, Mr Babandede declared that Nigeria will start utilizing the new international ID by December 2018. 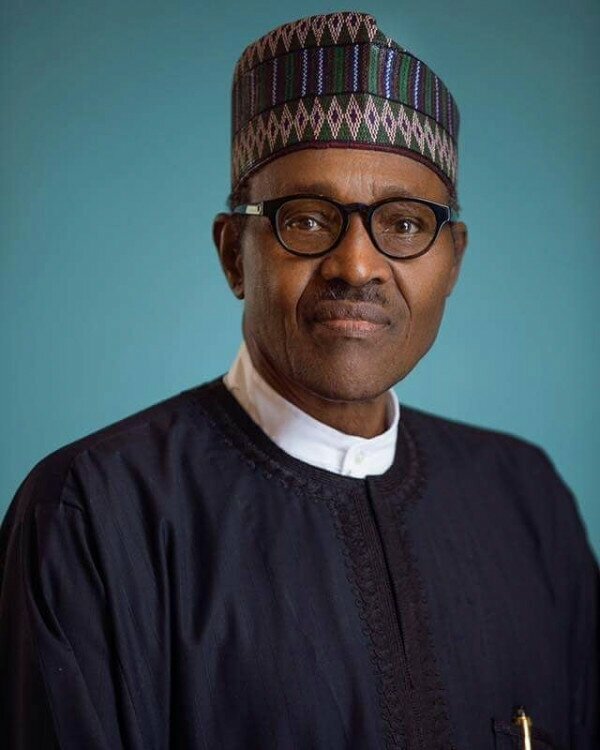 Talking with Channels Television, he stated “ten years after the enrollment of the e-passport system, we need to improve the security features”.